Even though I am glad to see NASA moving forward with putting astronauts in space on US rockets I am disappointed the Saturn V rocket was not resurrected saving NASA and the tax payers a lot of money. The Saturn V rocket is well proven as a heavy lift vehicle and would be well suited for the Orion project. You know NASA has a fixed budget right? It’s literally impossible for anything they do to cost taxpayers “more” money. As far as I can tell, the new SLS is much cheaper, cleaner, and safer than both the Shuttle and Saturn V, so I don’t think “resurrecting” a 50 year old super rocket was the most practical way to go here. NASA doesn’t want any more astronaut deaths. I have just viewed your info on the Orion. Stunned. is what i am. A 50’s concept relived. i thought NASA was supposed to be progressive, not retro. Due to the fact that billions have been spent to rehash a failed concept when a progressive design like the DCX not only worked but without the vast resources needed, and it was so hardy, that even when damaged it landed safely, was fixed and flying again in a short time. None of these things can be said about the vast resources spent by NASA on failed concepts , even when somewhat successful, like the shuttle, but again a failed concept by a low earth orbit only ability. Then you go from a reusable ship to a single shot. WHAT IS WRONG WITH YOU, REALLY. The DCX, if given the resources you splurge upon the Orion, could have with a little work, allowed you to cheaply step into deeper space. From earth to low orbit, a proper large ring habitat with artificial gravity, and a ship yard. From low orbit to deeper space. build a larger vessel for moon, mars, asteroid belt. With the DCX concept you would already have a lander and a reusable cargo vessel. The problem I have is that why are so many smart people so DUMB, that is on both levels. Remember going backwards to go forward, is an illusion, your just going backwards. I hope you have some success with your retro design, but that is all you will ever have with this thinking, some success. Good Luck. GO ORION GO !!!! Couldn’t be more excited for one the biggest test launches in American History. I certainly hope the rest of the world will be watching with as much enthusiasm as I have. What a great time to be excited about Space Travel. Historical actually !!! Good Luck and God Speed !!!! This is so exciting! We’re flying again! Best wishes to the flight and recovery teams for a great success! Godspeed !!!!!!! I wonder if NASA has considered, as part of its closeout checklist, a “test dummy” strapped in the cockpit, configured to measure the stresses of launch, landing and radiation during flight, on humans. It seems this would be an excellent opportunity for testing white room procedures have “someone” for pre-launch and recovery teams to practice on, and give another “face” to the launch, much like Robonaut aboard the ISS. I wish as a civilization, that we can band together and create autonomous robots that can help accelerate terraforming of Mars or building deep space ships in orbit with resources mined from the Moon! Imagine if we needed to create large structures on Mars to create stronger magnetic shielding or need to mine to Moon with millions of autonomous drones! 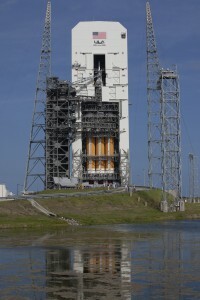 I wish the mission armistice, tranquilities and equanimity Orion. THE HOPES AND DREAMS OF AMERICA FLY WITH YOUR HARDWARE!! GOOD LUKE AND GOD SPEED! Excitedly awaiting our next giant leap for all of mankind as we go to the planets in search of others and seek answers to millions of existing and more new questions, we are explorers ! 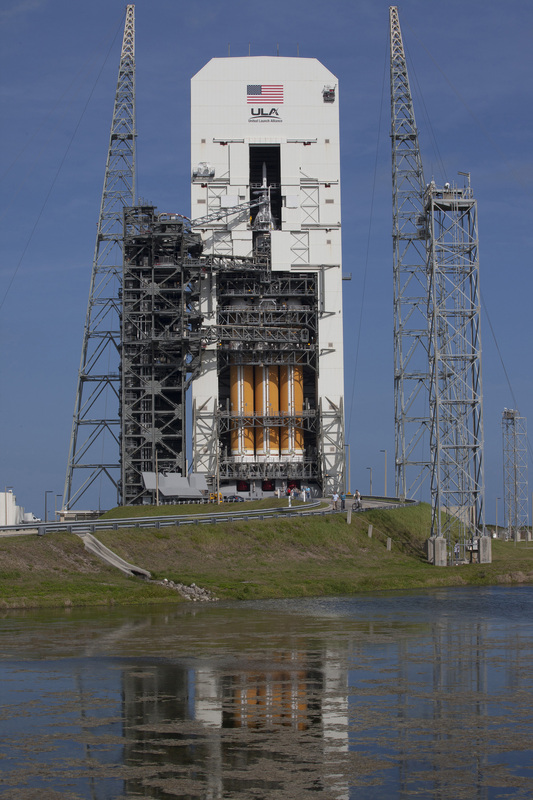 This Orion will not be in space long enough to require the additional white layer of thermal protection that longer missions will require. The white coating shown on the future missions is designed to protect the spacecraft from getting too cold.